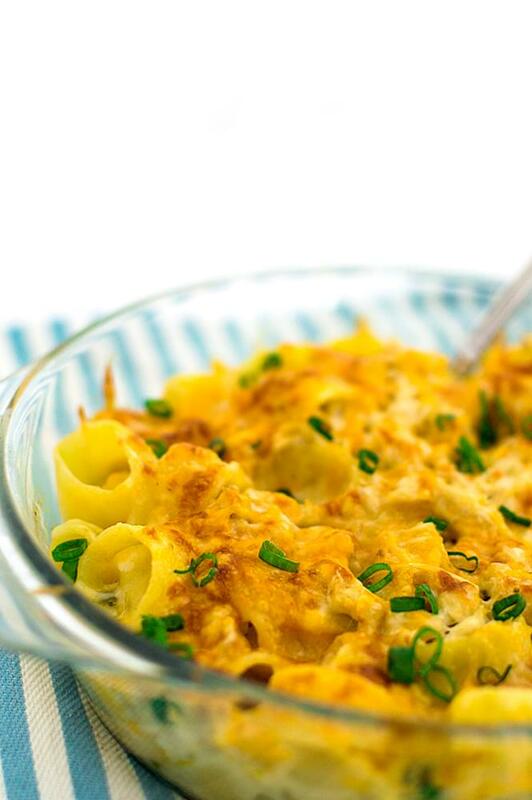 Mac and cheese has always been a favorite — what kid doesn’t love a good bowl of hot cheesy noodles? Pasta and cheese. How can that combo be bad? Well, it’s not, but I know what can make it better…. CRAB. And more cheese. And spice! 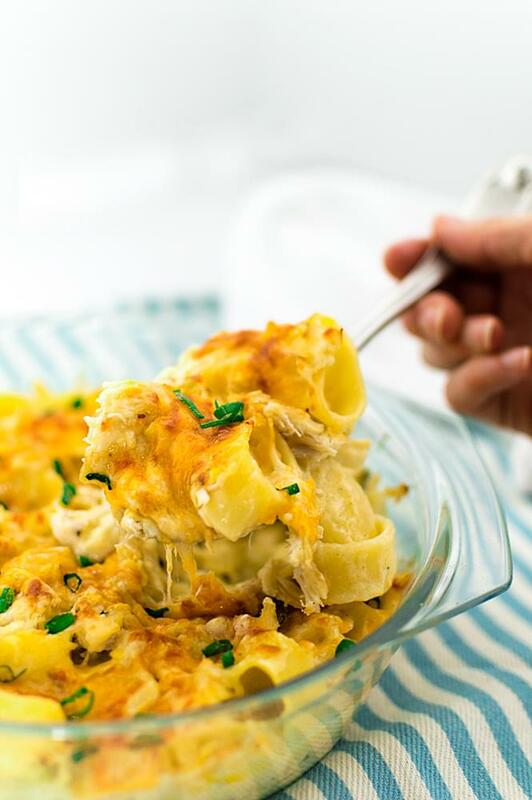 For this spicy 4-cheese crab pasta, I used some awesome dried pasta I’d never cooked with before, it’s called calamarata, but feel free to use whatever pasta you want! I found this at World Market… I always like to pick up ingredients I’ve never used before, so these struck my eye when I was shopping. The calamarata noodles are shaped like large O’s and have slight ridges on the sides. They’re a little thicker than normal so it took about 13-14 minutes to cook, but it turned out great! I tossed it in a cheese sauce that I made from a few of the cheeses I had in my fridge. Feel free to substitute out any cheese if it’s hard to find or you just wanna be different! When the pasta was finished cooking and the sauce was complete, I tossed it all together in a baking dish. 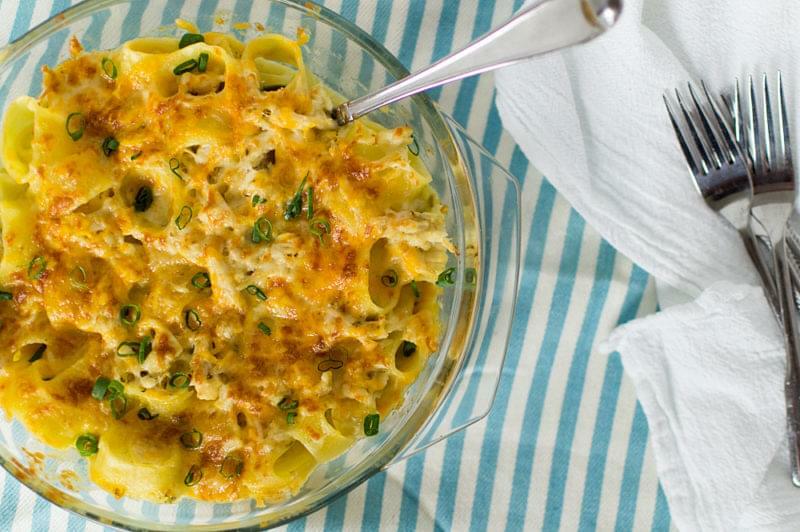 Make sure to save some of your shredded cheese to pour over the top. That layer of cheese is my favorite part! I added the crab right on top of the noodle/sauce mix, underneath the top cheese layer, but you can mix it in with the sauce/pasta if you wish. Just be careful not to break the lumps of crabmeat too small. 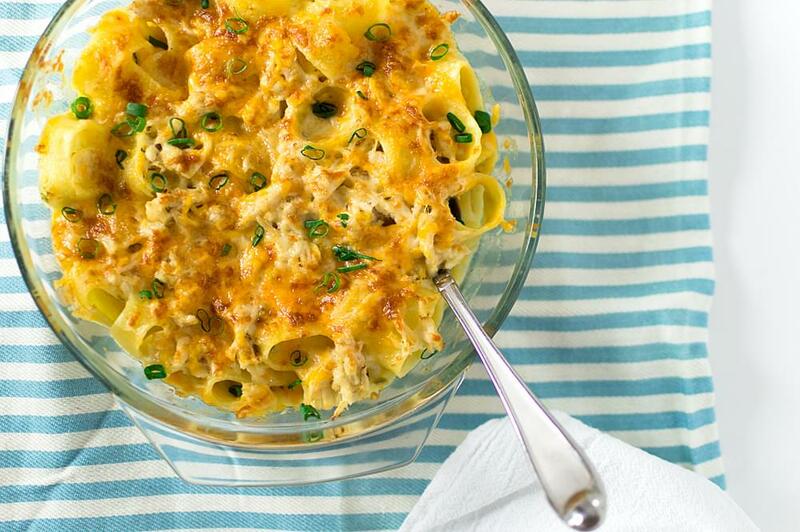 You know you want those big chunks of crab throughout!